Firefighter Simulator 2017 (originally Firefighter Simulator 2016) is a firefighting simulation that isn’t actually about fighting fires at all. You play an unwitting firefighter-turned-superhero-turned vigilante, recruited by a mysterious organization to fight a gang that’s targeting supers. But who is truly good, and who is truly evil? 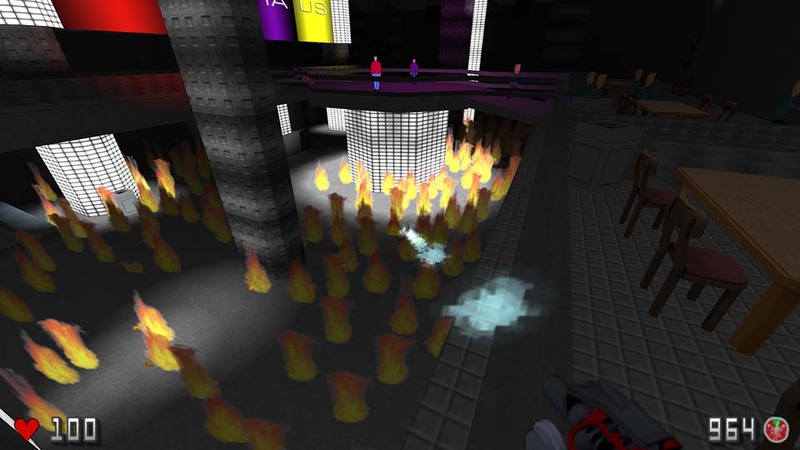 In Firefighter Simulator, you can indeed start and put out fires, and they even spread. 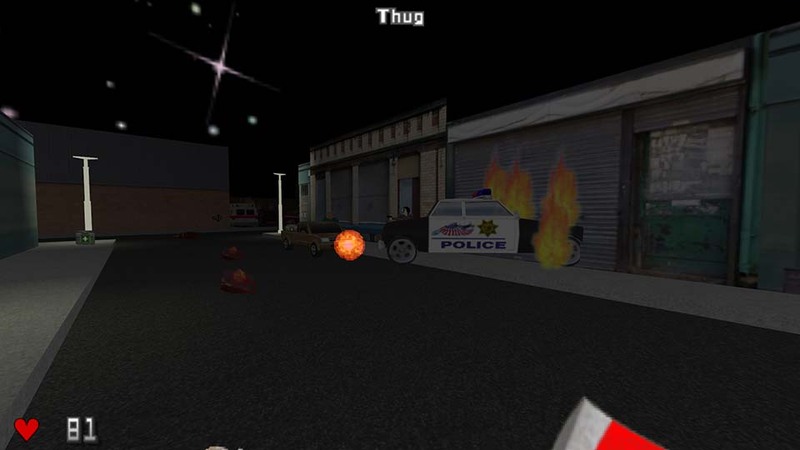 But it’s also a first-person shooter, with gangsters and other enemies that attack you and a few weapons (plus fire!) you can attack back with. There are some NPCs that fight alongside you, and some that you can converse with (the game is quite story-driven). At one point there were going to be RPG elements and player choices but they were cut. Firefighter Simulator looks awful, and this was a deliberate design choice. At some point I decided to go for a third-world knockoff/asset flip aesthetic, complete with mismatched styles, random bits of Cyrillic, and a nonfunctional “Uniti” launcher. It is, in fact, not Unity at all, but GZDoom. The assets are basically a random mix of OpenGameArt, Freedoom, and a few others, plus some original artwork (like the firefighter sprite). I’m not sure how the concept came about. It started in the Game Dev Club with the theme “you’re almost a fire hazard”. That became “a firefighter that really shouldn’t be” and somehow morphed into a twisted superhero story with a knockoff aesthetic. I think I just kind of threw in all the ideas I had and mixed them together. The end result is a very strange, but hopefully entertaining, game. To be clear, it’s very much a parody, and that should be obvious within the first five minutes of the game.